Styled with declan skirt . Looks slick under a blazer. 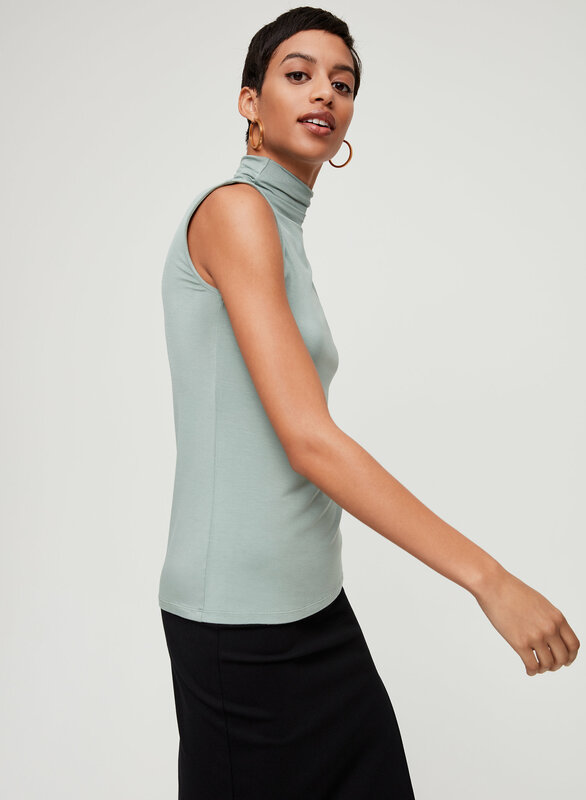 This is a sleeveless top with a subtle mock neck and bodycon silhouette. 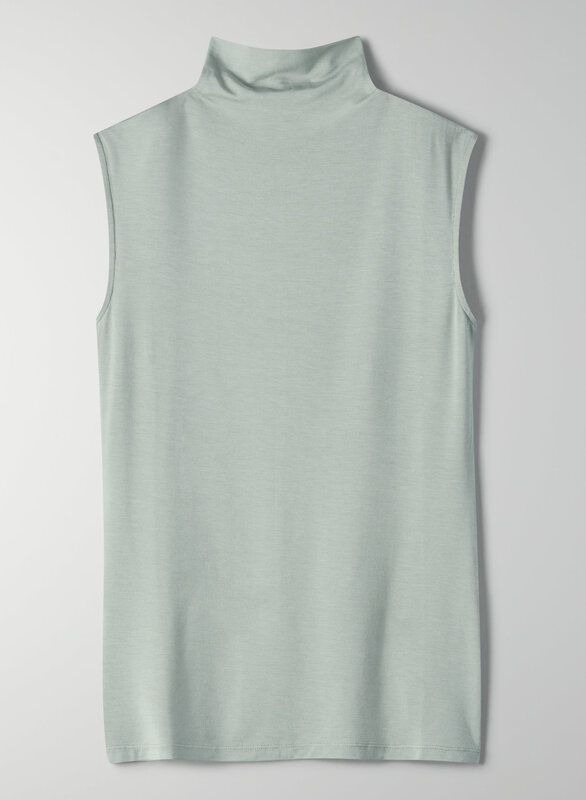 It's made with a soft stretch fabric that drapes nicely.